Cavity-fighting Lollipops are Back! - Stephen A. Lawrence, D.D.S. Inc.
Loloz all-natural lollipops and lozenges contain Cavibloc, a safe herbal formula discovered by researchers from the UCLA School of Dentistry and backed by researchers at the USC and Michigan Dental Schools. The lollipops are made with natural flavors, herbs, licorice extract, and sweetened with stevia. The lollipops ingredient from Chinese licorice root targets and disables the major bacteria that cause tooth decay. Simply use the Loloz lollipops or lozenges for 10 consecutive days, once in the morning and once in the evening, two to four times a year. Loloz products provide a safe, effective way to reduce and prevent the bacteria that cause tooth decay. 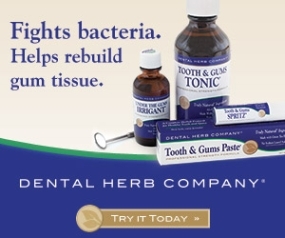 Buy these products at the office on your next dental visit or online at www.healthygrid.com .